We talk to a lot of good people who come into our retail office in Westminster, CO talking about installing an in-ground residential flagpole in front of their home. We love talking to people about what flag or flags they want to fly in front of their residence and we get to learn about what people are passionate about, whether it is country or military or sports or heritage or anything else they hold close to their heart. Our company helps the homeowner express their values and pride in a visible and tangible way and their neighborhood and community is often better for it. Symbolism is powerful in our culture and we are honored to help our customers display their spirit. A residential flagpole installation is easy and fast when you call Custom Flag Company. 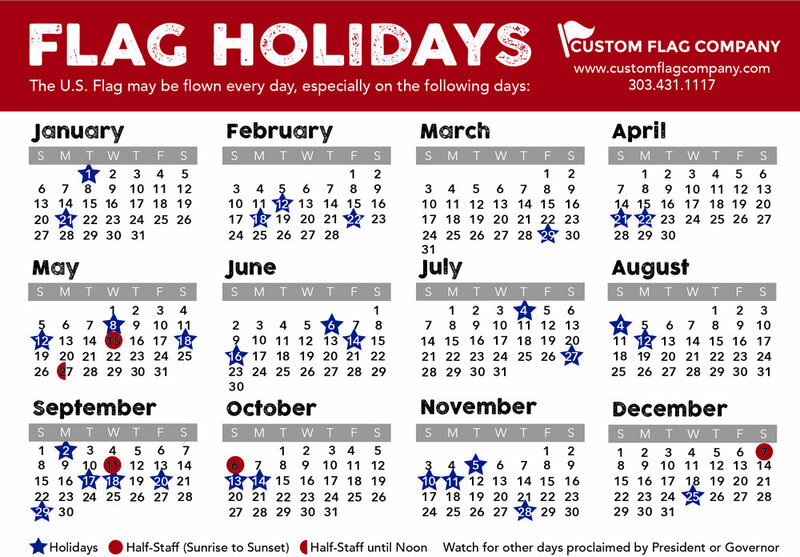 Since we are a full service flag and flagpole company, we often can have an in-ground flagpole install completed at your home in less than two weeks from the order. Our poles and flags are made in the US and we are committed to helping you express yourself and display your support and passion for what is important to you. We can also create a custom flag for you, your home, or as a gift. Where is your current or future in-ground flagpole? Posted on March 22, 2016 by Kim Griebling and filed under Flagpole and tagged residentialflagpole flagpole flagpoleinstall flagpolerepair flagpoleparts Flagpoles Denver flagkit installation colorado maintenance. St Patrick's Day is this weekend! It is a fun-filled weekend with parades, festivals, pub crawls, concerts and races. If you need a flag to show your Irish Spirit you are in Luck! This fun flag is IN STOCK! We stock Ireland flags: Sized: 4"x6", 8"x12", 12"x18", 2'x3', 3'x5' and larger! Need an Erin Go Bragh Flags? They are IN STOCK! Posted on March 13, 2013 by Kim Griebling and filed under Events and tagged Activities Denver Erin Go Braugh Fun Flags Ireland Flag Novelity Flags.